By making some simple changes to our daily routine, we can save a big amount of energy and pay less utility bills per month. There are many ways to save energy. Some tips to make your home energy efficient are given below. During the winter season, we use an electric heater to warm up a room. You should be wise in using the electric heater. Turn on the heater for only once in a day. Keep the door and windows shut and open only when it is needed. Turn down the heater by one degree to save up to $65 in a season. We use water for many purposes. We use water to cook, to clean and for many other reasons. If we can be a little wise about using water, we can reduce a big amount of the utility bill. Many people keep the water taps open after completing their work. Be wise in using the water and do not keep the water taps open when your work is completed. Instead of bath, take a shower. It will save water. If there is any leak in the pipe, you should fix as soon as possible. Leaks will waste water and the electricity at the same time. We use electricity to warm up the water. Use hot water only when you need to use. Are you looking for air conditioner repair services in Delray Beach? Turn off the TV when nobody is watching and turn off the lights of the other rooms where nobody is present. Switch off the light of the kitchen when you are not cooking. By turning off some lights, you can save up to $37 per year. Many of us waste gas, electricity, and water while cooking. Use water only when you need to use. Keep the pressure cooker switched on only when you are cooking. Do not keep the gas stove open. It will warm up your room but more than that, it will waste a lot of gas. Do not keep hot foods in the fridge. Cool down anything first before putting in the fridge. If you are using room heater, you should keep the room heater far from the fridge. 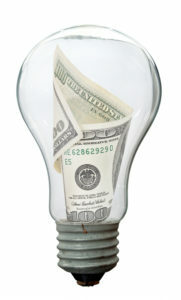 Energy star marked electrical products use less electricity than the other products do. These products can reduce your electricity bill by 10% to 75%. Energy star marked products are a little costlier than the other products. Do not use your own car all the time to travel. For a long road journey, choose any public transportation service that comforts you instead of driving your own car to save gas. Your washing machine will charge you the same if you run it in full load or in low load. This is why, run your washing machine at full load and do not keep it switched on while you are not working with it.